Sekolah Menegah Kebangsaan Bandar Utama Danmansara (3), along with other schools throughout Malaysia, had their mid-term school holidays for two weeks. The two-week holidays was a great time to relax and recharge our batteries after half a year of hard work. However, this could not be said the same for the third-formers. 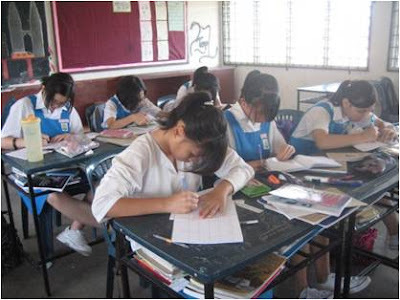 It was no time for them to play or relax because their PMR trial examination start immediately after the holidays. 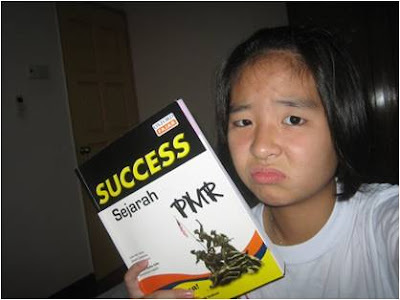 How the third-formers used these two weeks will determine if they succeed in their PMR trial examinations or not. Hence, even those who studied, whether hard or not, during the two weeks of holidays were anxious the night before the trial examinations. Most of them burned the midnight oil trying to cramp anything possible into their minds, hoping it would make a difference; maybe from a fail to a pass, a ‘C’ to a ‘B’ or a ‘B’ to an ‘A’. Of course, the best thing to do is not to rely on last-minute studying, but to have a consistent revision regime and not to procrastinate in work. All too soon, it was the day of the trial examinations. We, the third-formers, didn’t know whether to be delighted that we were able to see our schoolmates and friends again after the holidays, or to be anxious about the examinations. Well, I suppose it was both. All our feelings were mixed up inside us like a washing machine turning round and round. I can definitely say that, that the one week of trial examinationss was unusually tiring compared to our normal examinations. Some third-formers were so nervous about their results that they could not wait and went in search of teachers or looked up online for their results even during the examination week hoping to know their marks. Within a blink of an eye, PMR trial examinations were over and now there is only about less than a month before the actual PMR examinations begins. The next thing we know it would be less than a month before the SPM examinations begins. Hopefully everyone will study hard and get good results in the end.